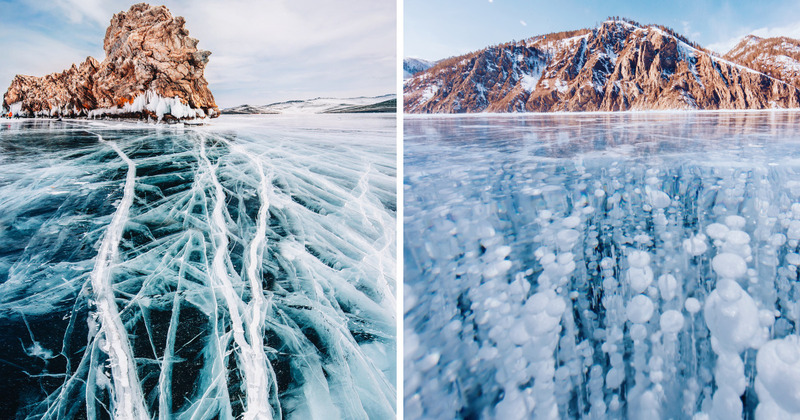 Baikal is impressive. 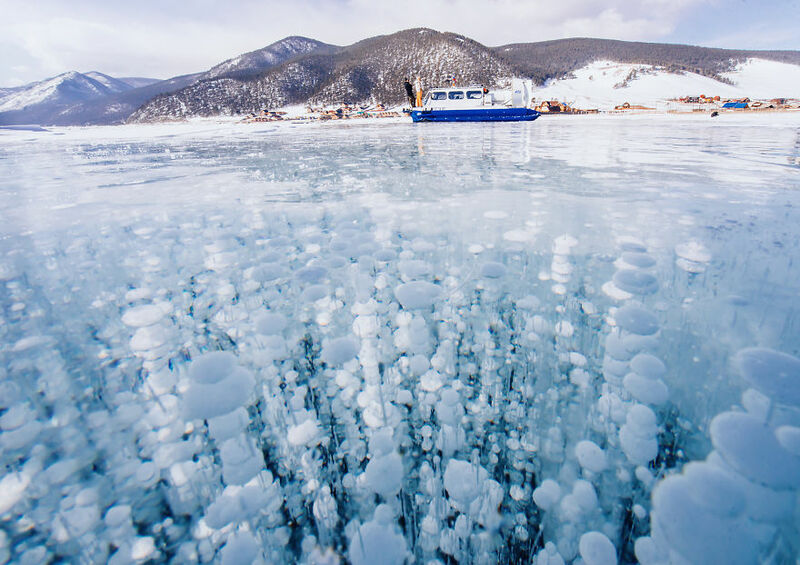 It's the deepest and the cleanest lake on Earth. 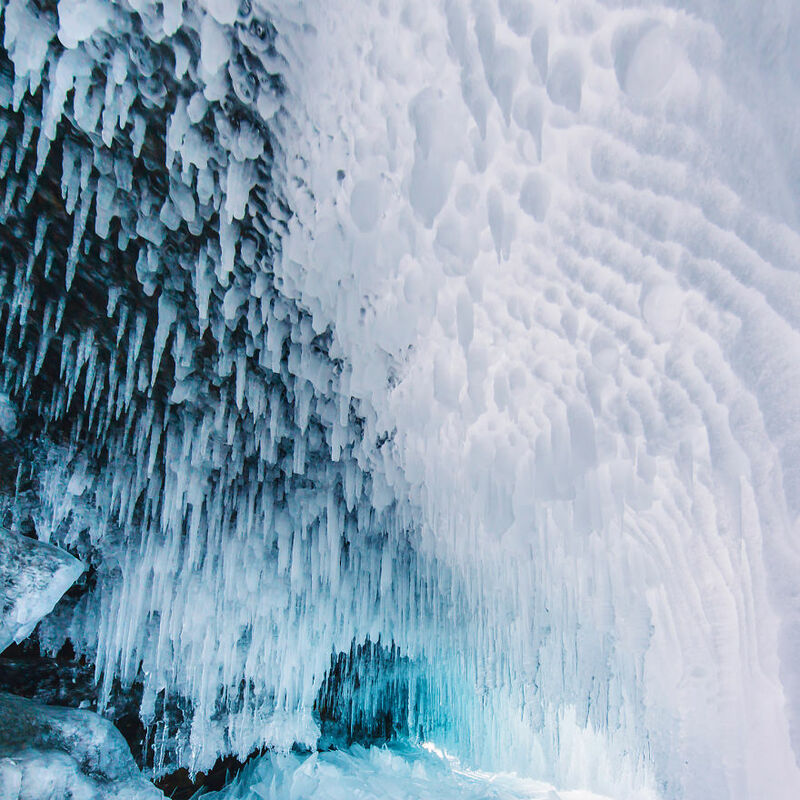 When we were planning a trip, we didn't even suspect it is so wonderful, majestic and fairy. We were raptured over its beauty so much, that we almost didn't sleep all 3 days we were here. 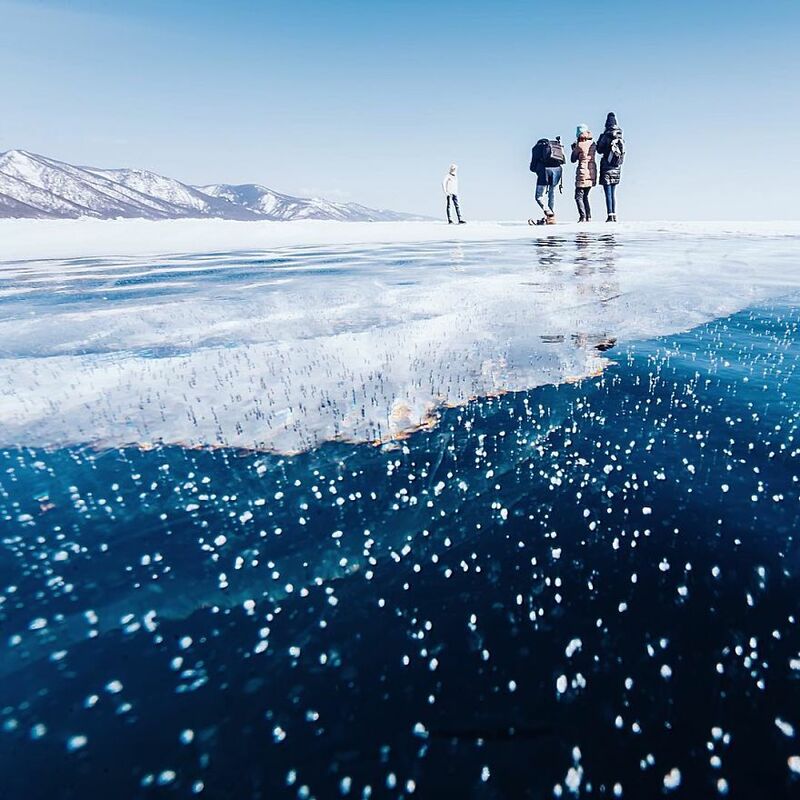 Baikal is also the deepest lake. 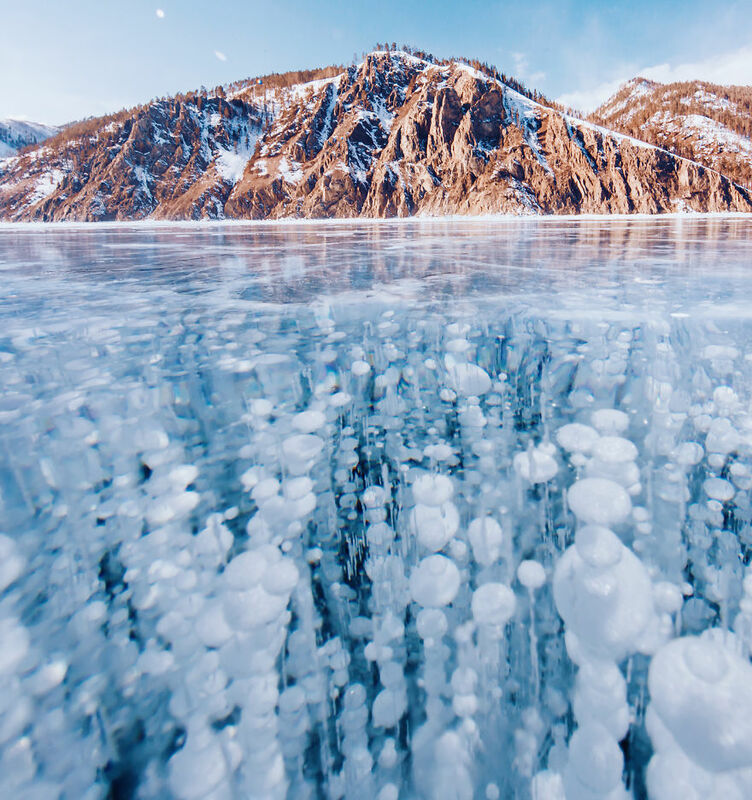 The genesis and the age still provoke scientific arguments, so let's just remember, that Baikal is the biggest reservoir of fresh water on Earth, and its depth is 1642 meters. 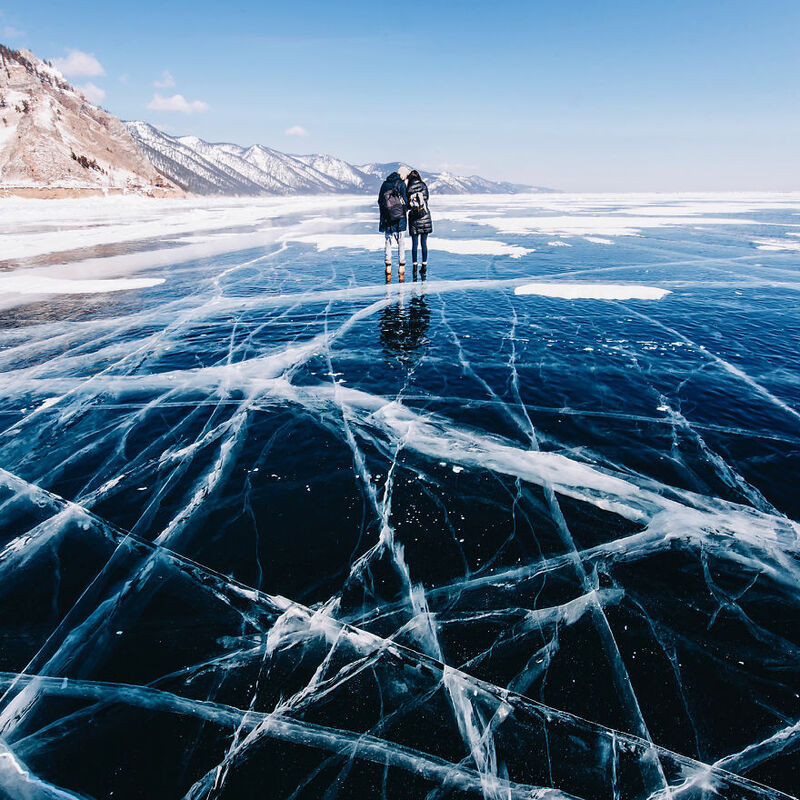 Apart from Baikal, there are only two lakes that are deeper than 1000 meters: lake Tanganyika (1470 m) and Caspian Sea (1025 m). 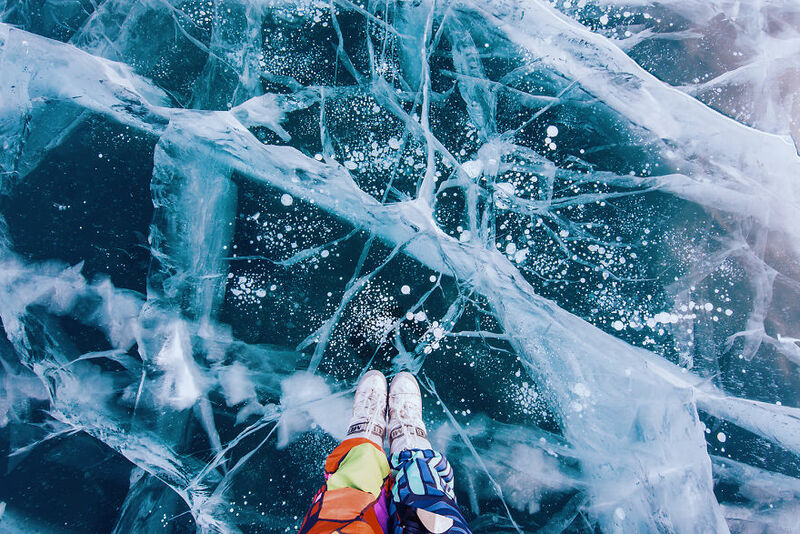 In some parts ice is slippery like the mirror. You can shoot ideal reflections. 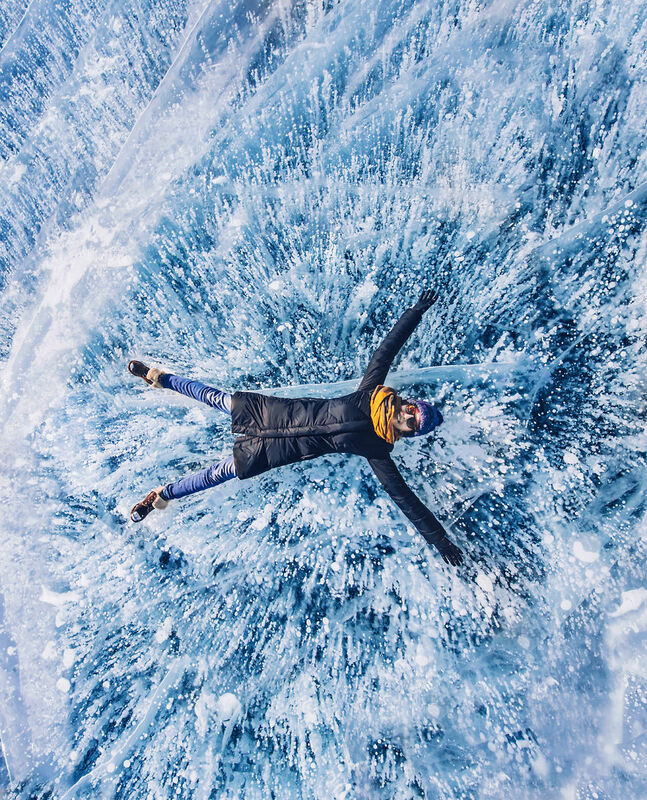 A lot of travelers are moving about on skates, bicycles or sledge. Some of them are walking for several hundreds of kilometers and are sleeping in the tents on ice. 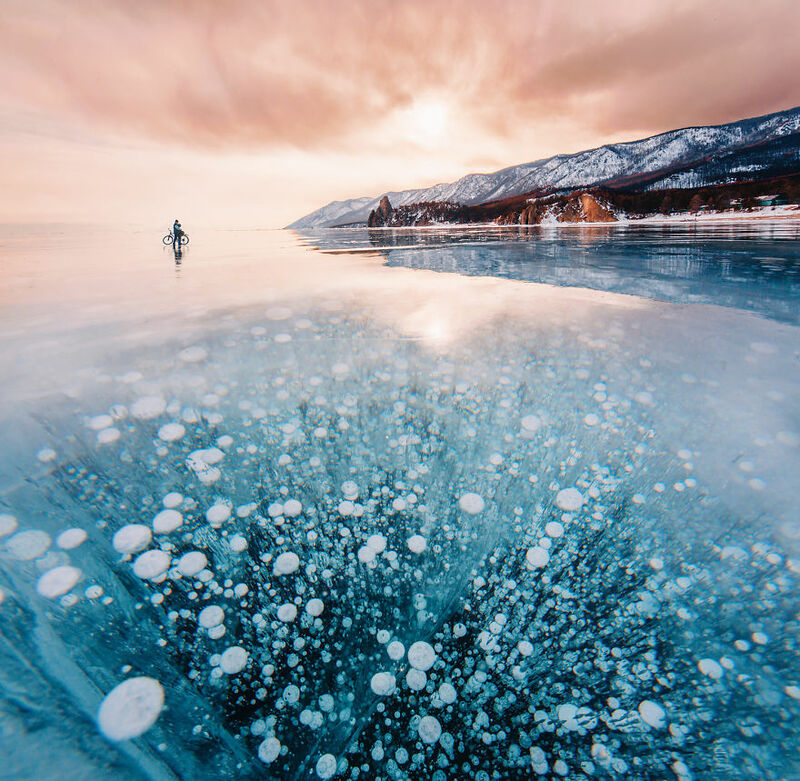 Marvelous place. Very atmospheric. 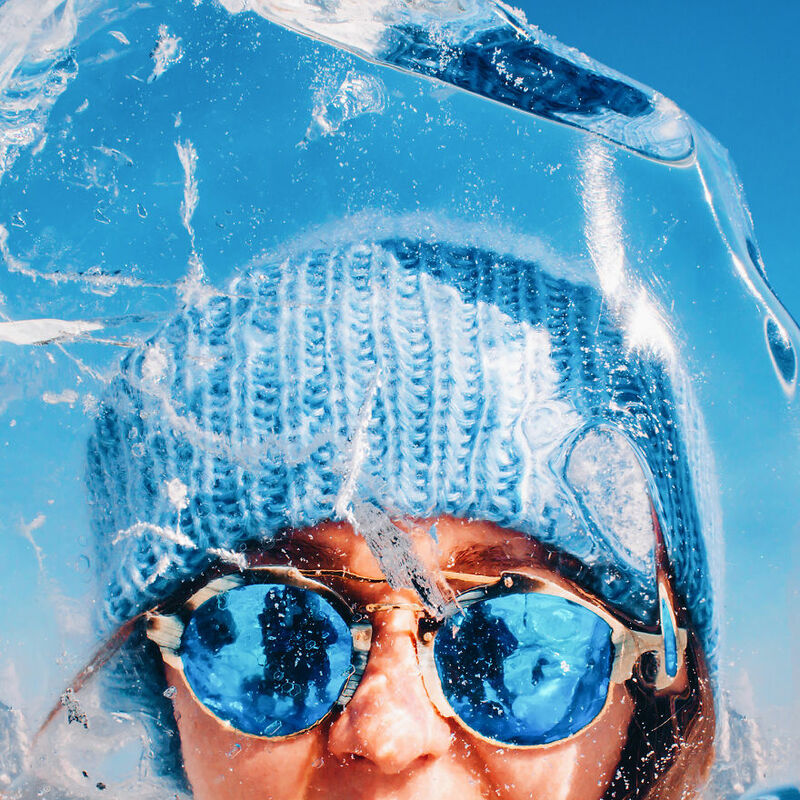 Ice is cracking all the time. 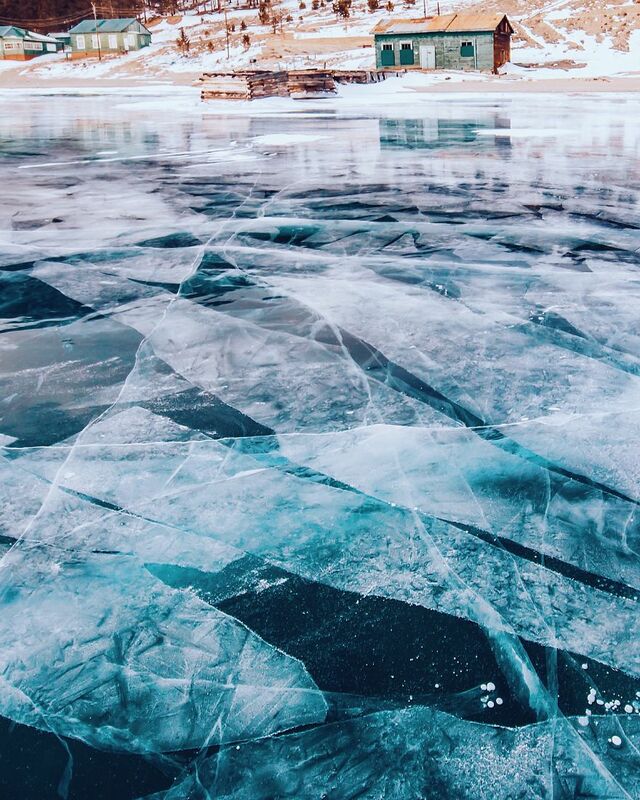 When the frost is very heavy, cracks divide ice on different areas. 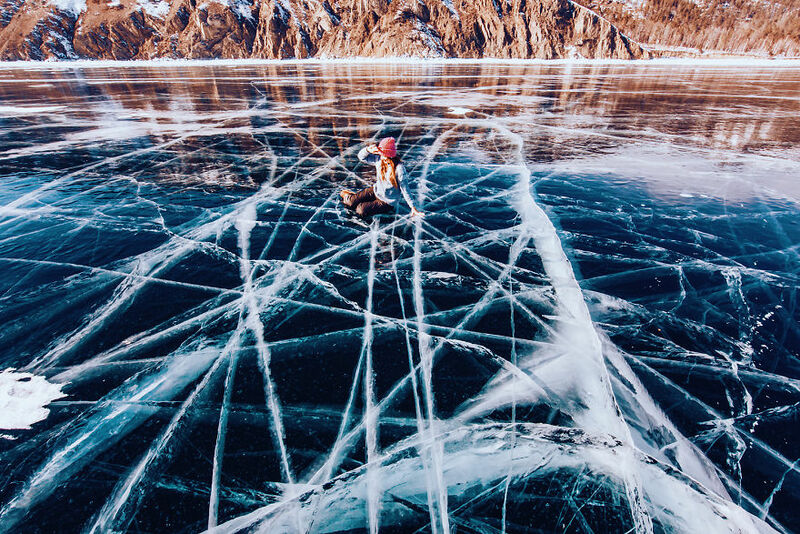 The length of these cracks is 10-30 km, and the width is 2-3 m. Cracks happen every year, approximately at the same areas of the lake. The are followed by a loud crack that reminds of thunder or gun shot. 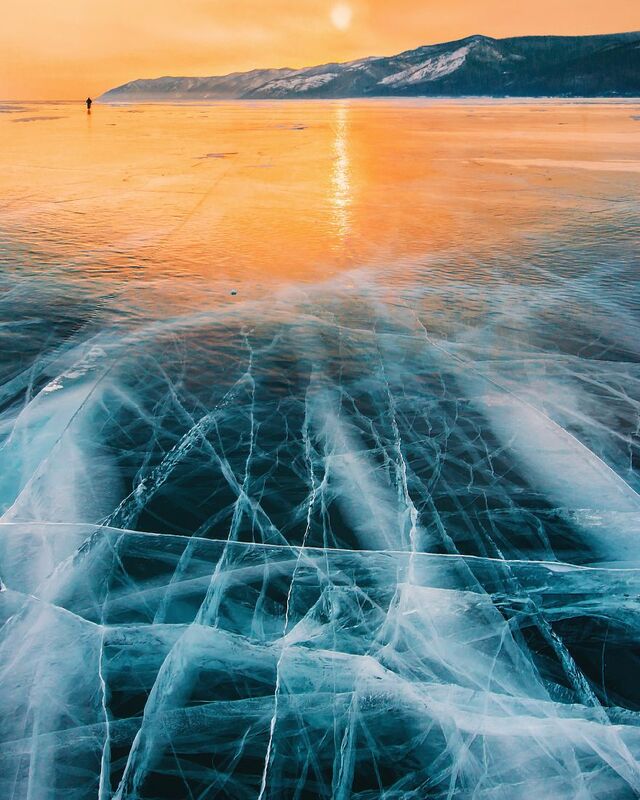 Thanks to the cracks, the fish in the lake don't die from the lack of oxygen. 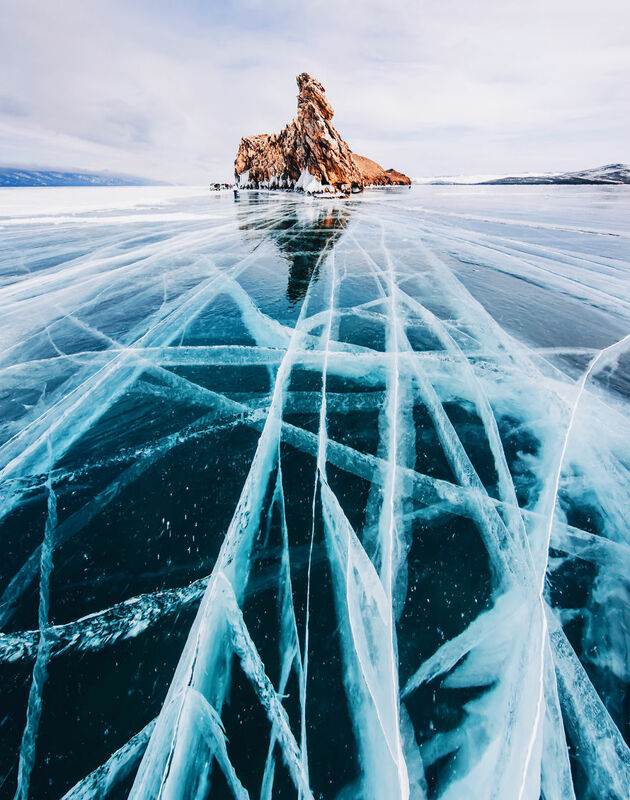 Generally, ice of Baikal carries a lot of enigmas, the majority of formations provokes the interest of scientists. 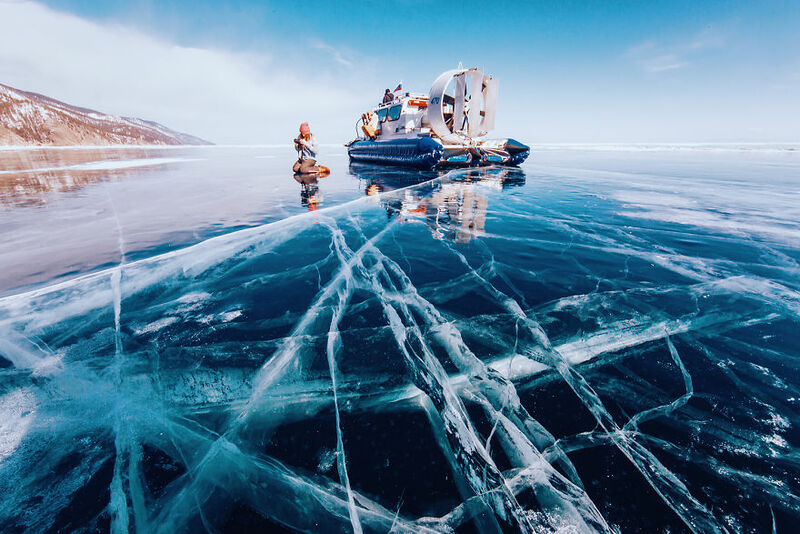 Ice on Baikal is there till May. But in April no one drives on it. 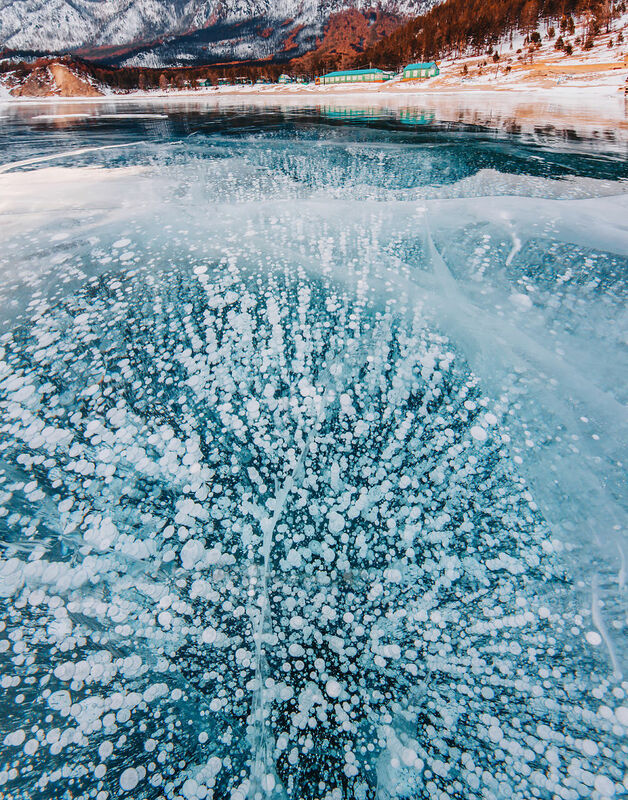 The bubbles in the ice are developed from the gas methane that is produced by algae. 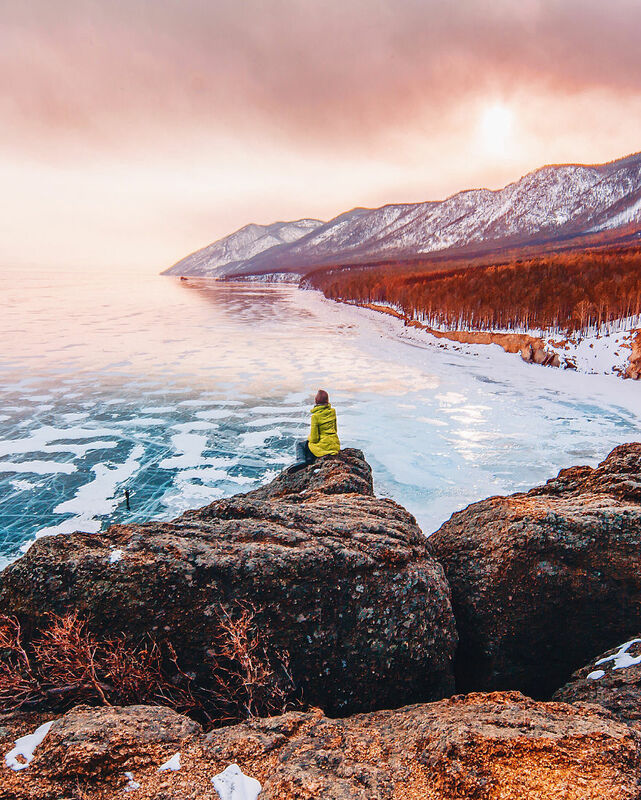 The only river in the world that flows from the lake is Angara that flows from Baikal. 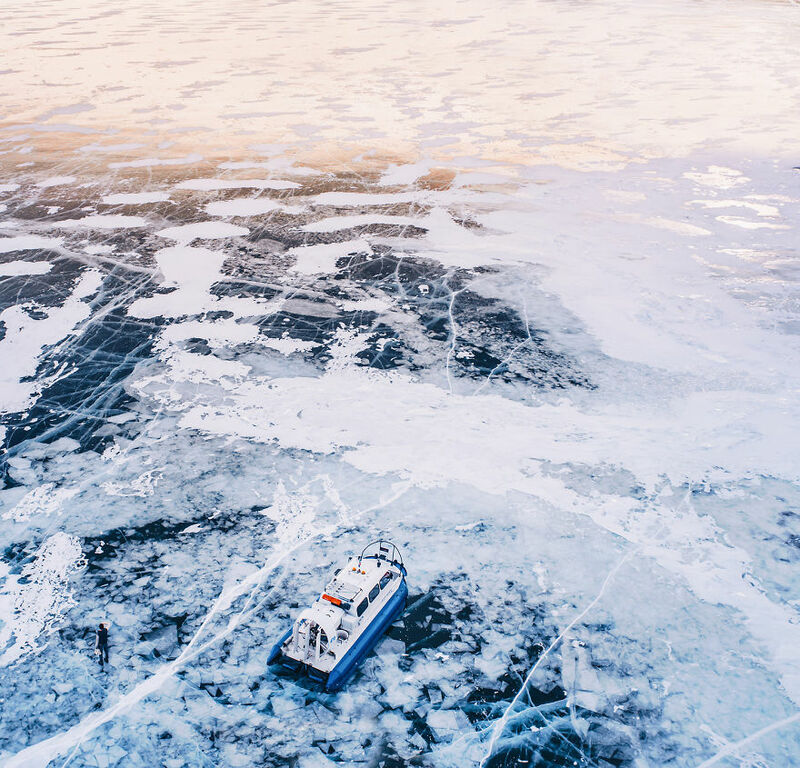 All other rivers flow into the lakes. 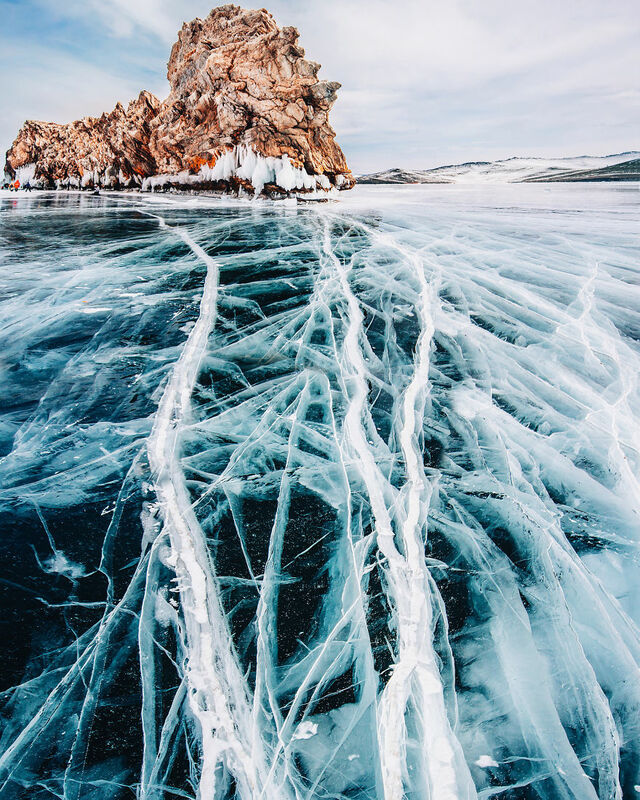 There is a legend that the Father of Baikal had 336 rivers - sons - and one daughter - Angara. 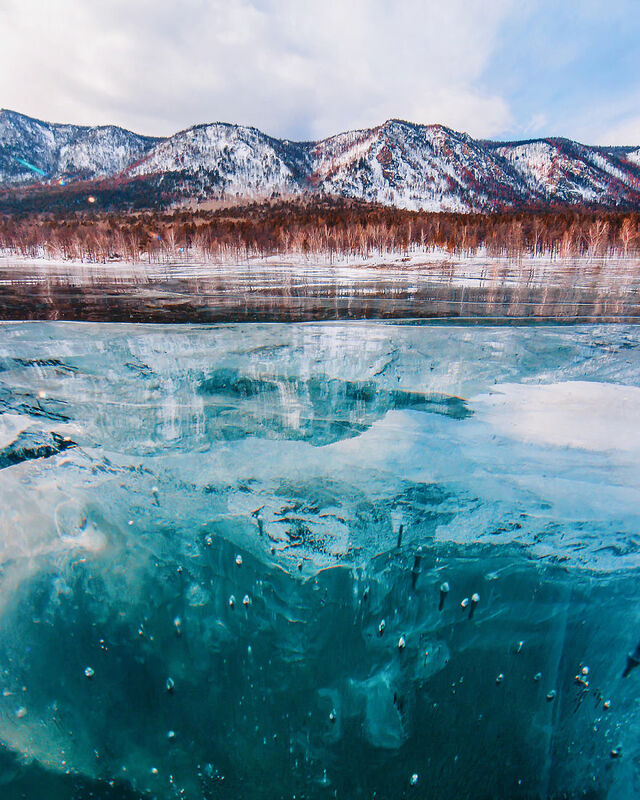 All sons were flowing into Baikal to restock the water, but the daughter fell in love with Yenisei (one more river in Russia) and started to take everything from father's water to her lover. 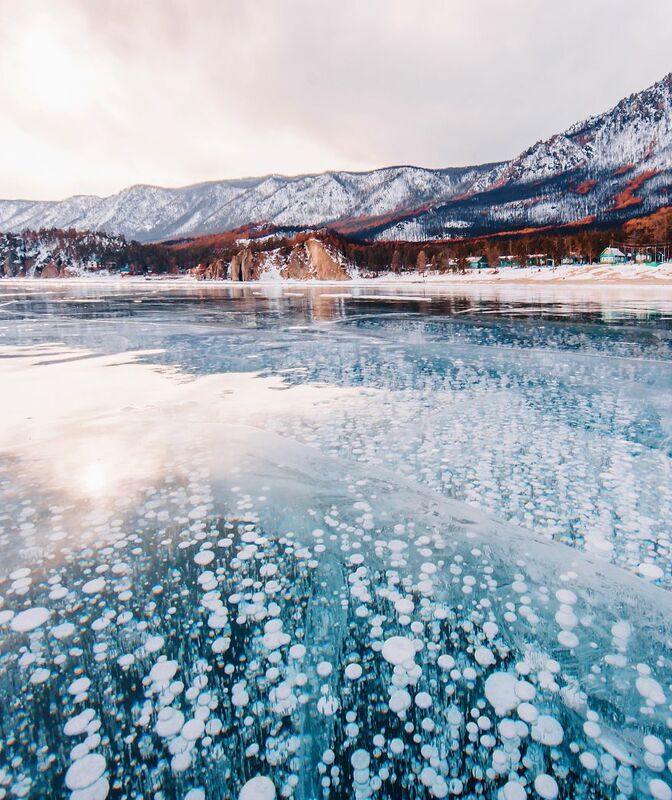 In respond, the father Baikal threw a huge rock into his daughter and cursed her. This rock is called Shaman-Stone, and it is situated in the springhead of Angara and is considered to be it's beginning. 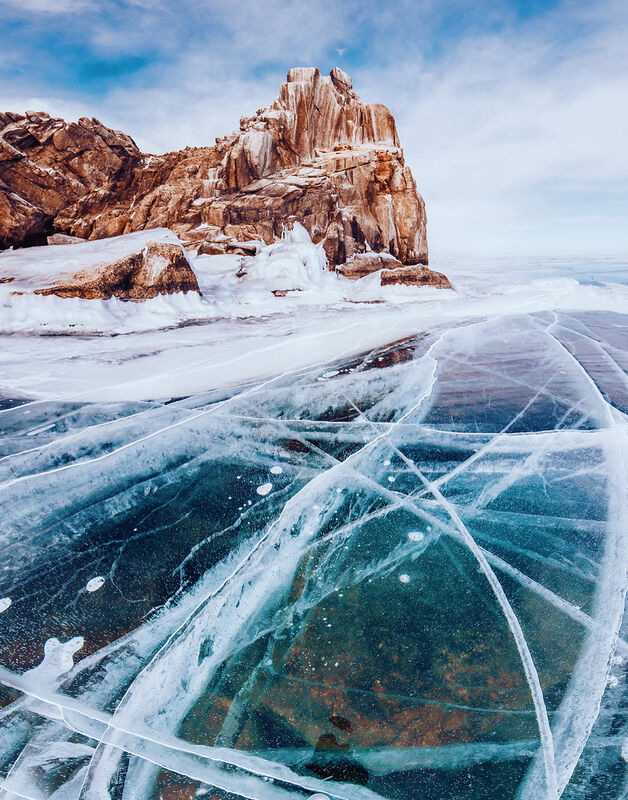 Baikal is the most beautiful place in the world.